Did my friend say that? Is that a real video of President Trump? New technology allows just about anyone to create footage of people appearing to say things they’ve never said. 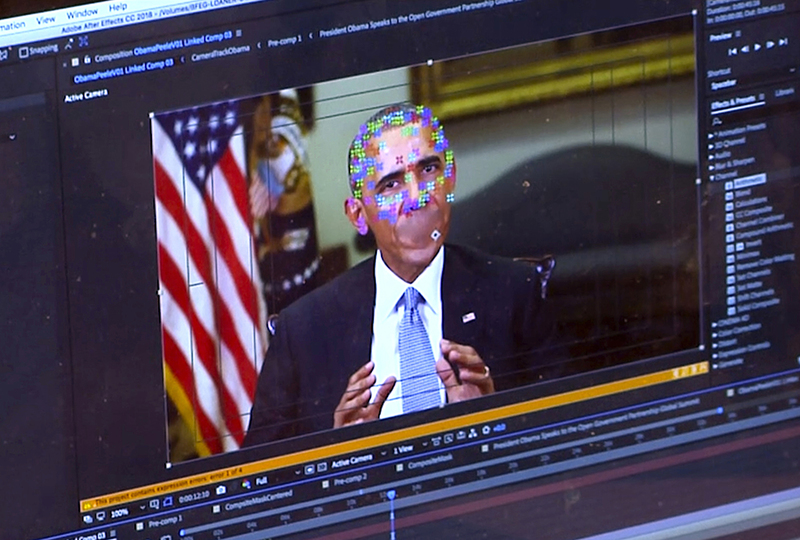 Bogus videos—called deepfakes—are the latest weapon in the disinformation wars. Deepfakes are so named because they utilize “deep learning,” a form of artificial intelligence. They’re made by feeding images and audio of a person into a computer. A program learns how to mimic that individual’s facial expressions, mannerisms, and voice. The computer then produces footage of a person “saying” whatever the programmer wants. Deepfake technology produces footage so real-looking it’s hard to spot phonies. The U.S. government is developing technologies to detect fake images and videos. But identifying deepfakes takes complex analysis. 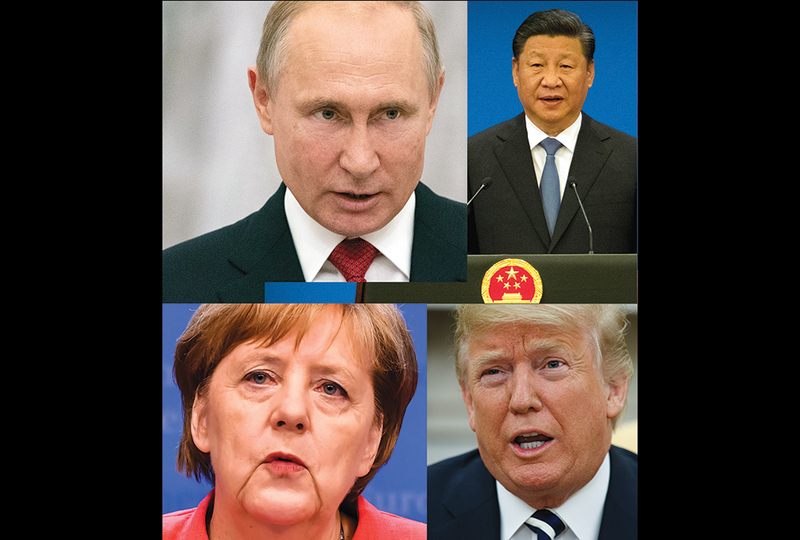 U.S. lawmakers and intelligence officials worry deepfakes could threaten national security or hamper elections. A politician could produce a phony recording of an opponent telling a lie. Or a bogus video of a soldier committing treason. Imagine fake footage of a North Korean or Iranian official informing the world of a looming attack. The reverse is also a concern: People could become so wary of deepfakes that they dismiss genuine footage as fake—like a national disaster where no one sends aid because they distrust the footage they see. Others might say something for real—and then claim they didn’t, blaming the evidence on deepfake tech. So far, none of that has happened. But experts claim it’s not a question of if, but when. Bible wisdom says, “Every charge must be established by the evidence of two or three witnesses.” (2 Corinthians 13:1) That advice has always been sound—now more than ever, as separating fact from fiction gets a lot harder. I never knew they could do that! I think that's really creepy. I agree Anna C, it's creepy. Now how do we know whats real? Why this is scary because this is how wars are started and how people die. Even if I don't like donald trump I like what he's doing and i think that he could keep us from war. Even so this is dangerous and i fell like on of these days something really bad is going to come out thats fake that could get donald trump impeached and then theres a problem. That is really creepy. I cannot believe people have figured out how to do that. Maybe an ideal solution would be to monitor the internet for any usage of deepfake tech. It's kinda cool that we can do that, but still creepy. Have you heard Trump speak? Have you heard Trump speak? He said he was going to win"so bigly", and about hurricane florence he said it was "really wet". But I'm glad that Trump is president, not Clinton! I think that this is REALLY really scary just like SK but maybe if we could invent a new time of tech. we could use the deepfakes to our advantage...? That is so creepy how they can do that! How do you know if something is true or fake?!? what has society come to today? Why is everyone yelling Go Trump? I don't get it. This article had extremely little to do with trump besides the second sentence and how someone can become a fake trump. Someone plz explain. But besides that, this Deepfake tech is gonna be really hard to detect and stop. What is the good of that technology? Faking Videos? There should be a way to show it's not real, like some sort of mark or something. Yeah, Kalista. It could be used to make a video where President Trump confesses that he did something that he didn't. They could use it to smear someone's reputation by making fake speeches or anything. And what if Clinton got a hold on that tech and used it to conduct a smear campaign against Trump?!?! However, although you have pointed out that Hillary could "smear" Trump, the opposite could also happen. Also, people could say that real events didn't happen because they were fakes. This is nothing but trouble. that would seem cool if it weren't so bad. i think it is scary that people can copy faces and stuff so well that the world would go into revolt. this is really creepy technology and it can easily destroy anybodies reputation. its just another example of how much sin effects everything. that's cool and weird at the same time!!! It sounds like we need someone or something to identify the false videos, like fake and real dollar bills. I don't support either because neither are as good as in the first 15-16 presidents they just don't have as much virtue. take George Washington or John Q. Adams for example. They should make this technology illegal! I don't see any good that could come out of it. I was born in 2006 to. That means that the news could be lying to the world. I don't like it.